What's better than acquiring one new customer? It sounds like a trick question, but the answer isn't "acquiring two customers." It's actually retaining an existing customer. While there's a certain allure that comes with capturing new customers, keeping customers coming back will continually result in a greater ROI -- and it costs 5-25X less. But how do you create a customer retention strategy that keeps your current customers engaged and happy? We've broken down nine customer retention strategies that the biggest brands are currently using to inspire loyalty. 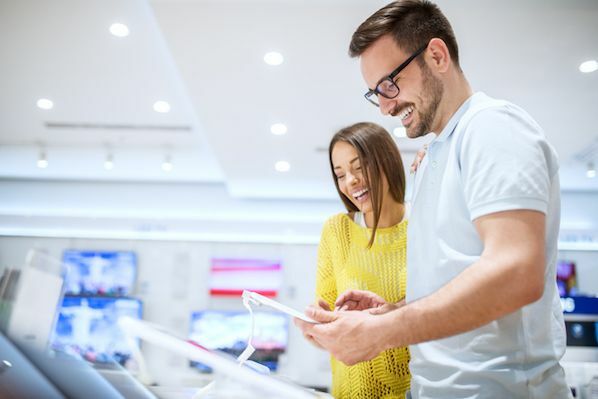 From leveraging convenience to prioritizing personalization, these are elements any customer success team or marketer can take and test today. A customer retention program is a specific initiative or set of initiatives designed to increase customer value and encourage them to re-purchase and evangelize a company's product or service. 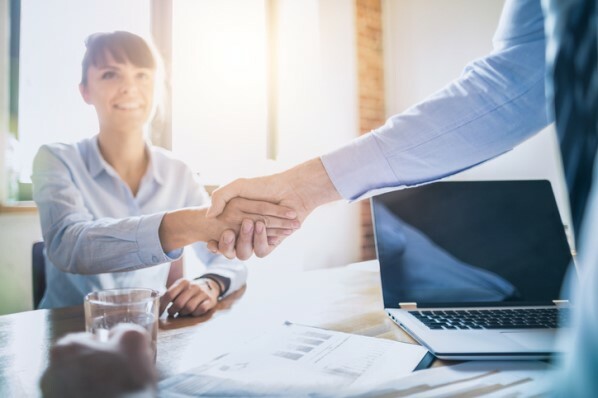 Customer retention programs can be company-led, such as instituting a customer onboarding process, or customer-led, such as downloading and using a mobile app to make purchases. 14 Excellent Customer Retention Strategies that Work. 1. Inspire with a mission. Sometimes a brand inspires loyalty not through tactics and systems, but through what they stand for. If you've ever watched Simon Sinek's TED talk "Start with Why," you probably already know a thing or two about the importance of having a mission, or "reason why." "TOMS has integrated old-fashioned, for-profit entrepreneurship with new-wave, bleeding-heart philanthropy." The way they do this is in their "One for One" policy. For every pair of shoes that are purchased, they give a pair to people in need, thus far donating over 60 million pairs of new shoes. As consumers, we're focused on the altruistic and environmental effects that our buying habits have beyond consumption. Doing good is becoming more and more important to us. This doesn't mean you should build your marketing around an altruistic message just to do it. The lesson is in finding something that people care about and positioning your brand around it. 2. Empower customers with convenience. The coffee goliath Starbucks has always been innovative with their marketing, especially in the customer acquisition department. In the early days, Starbucks founders Zev Siegl, Jerry Baldwin, and Gordon Bowker focused on the sounds and the smells inside their shops in order to provide a delightful customer experience. But to grow, they had to get innovative. One of their most innovative customer retention moves is their Mobile Order & Pay feature within their app. 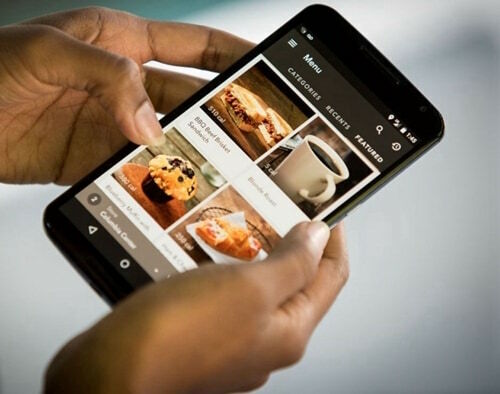 Thanks to the new feature, customers can order their coffee before they even arrive at the shop. What'd their customers think about the addition? In short: They loved it. "Just this morning I parked at my kid's school, placed my order in the parking lot, took him inside, then walked over to the Starbucks and picked up my drink. Mobile Order & Pay can cut 10 minutes out of my morning routine. I told my boss that it's the reason I'm actually on time for work now," explained busy mom Danielle Lesikar. The simplest takeaway here is this: make your products and services as accessible as possible. Identify the desires and behaviors of your customers and create tools and systems that empower them. Whether that be an app or other traditional methods, it's up to you. This supermarket giant has a strong presence in the UK, with over 2,000 stores nationwide. For huge brands like these, coming across as authentic and human can be a challenge. Online grocery shopping and self-service scanners are convenient, but people still like dealing with other people. To get started with an approach like this, identify your audience personas and communicate with them on their preferred channels. It doesn't matter if it's email or Snapchat, as long as it's where their attention is. From here you should encourage your customers to speak directly with you through that channel. Make it part of your messaging and remind them during and after the buying experience. And always add personality to every message. Nobody likes a canned response, so make sure whatever you're communicating sounds like it's coming from a human. 4. Speak to your customers. We've taken a look at several B2C examples, but what about the B2B world? R&G Technologies is an Australian IT support firm that has developed strong, long-term relationships with their clients. They solidify these relationships with rapid response times and strict service-level agreements (SLAs). They get back to their clients quickly, and their employees have been bought in on this by tying these KPIs to how much they earn. 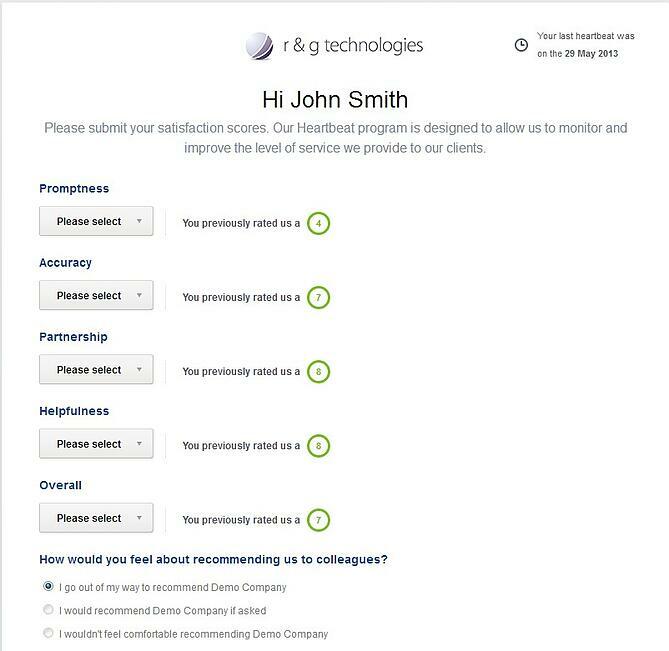 However, the biggest lesson is in their customer satisfaction surveys. They give their clients an opportunity to express what they're doing right and, more importantly, what they're getting wrong. This allows them to identify unhappy customers before they churn. R&G focuses heavily on asking the right questions in order to gain insights they can execute on. They use this information to make better business decisions and retain customers. Most importantly, these discussions identify the challenges of R&G's audience. This can help inform both your overall marketing as well as your retention strategy. Don't underestimate the power of one-to-one conversations with your clients (especially if you're running a digital business). 5. Use gamification and referral programs. Touted as the most comfortable pair of underwear in the world, MeUndies drives great retention through two elements. The first, which we've already covered, is in their "reason why." The folks at MeUndies were tired of the struggle that comes with finding a great, comfortable pair of underwear. To back this up, they've fostered a strong culture and are very transparent with the process. They have an entire page dedicated to their factory (it's beautiful by the way). Although this makes for great retention, our focus is on their clever referral program. Customers are encouraged from the moment they purchase to refer a friend, and the rewards are worth it: For every friend you refer, you get $20 and they get 20% off their first purchase. There's a gamification element that shows how far through the buying experience your friend is, too, including a "nudge" button. If a friend adds a product to the cart but hasn't completed checkout, you can use this to send an email reminder about it. 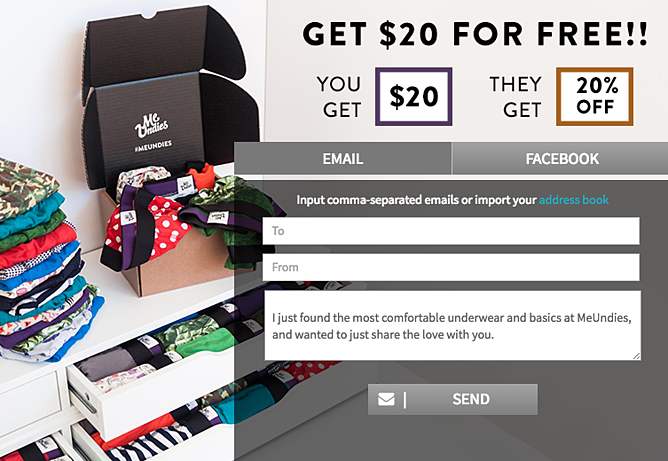 In other words, MeUndies has found a way to use their current customers to reduce cart abandonment, while providing social proof in the process. When done well, referral systems can be really effective for retention. The key is to focus on strong incentives and gamification to get people invested. Most importantly, don't forget to empower and encourage your customers to become advocates for your brand in the process. 6. Create a divide between you and your competitors. Want your customers to see you as the obvious choice over your competitors? Make note of Apple's strategy, demonstrated by their "Mac vs. PC" ad campaign. The campaign starred John Hodgman as the inept PC and Justin Long as the cool, collected Mac. The two would quip humorously over what made the Mac a better choice than a PC in a really entertaining manner. The "Mac vs. PC" campaign was a very tongue-in-cheek -- and it generated a lot of dispute. Not only that, but it divided the market and set Apple apart from their competitors by identifying the kind of consumers who should buy Apple products. Sticking true to who you are as a brand shows integrity and makes it easier to attract customers that just might become your strongest brand advocates. Can you find a cause to fight for (or against)? 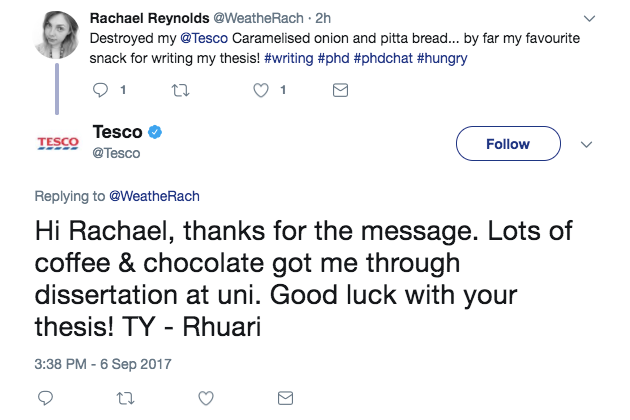 If your brand is more friendly than this, you can still put some fire behind your story and create a rally effect. Don't be afraid to be a little bold in your marketing to get the best results from this approach. 7. Use subscriptions to bolster the experience. It's unusual for a commodity-based organization to implement a subscription service into their business model. Which is exactly what Amazon created in the form of Prime. The subscription was originally created to bring customers faster delivery. It generated a lot of controversy, but quickly became popular with regular shoppers on the platform. Since its launch, they've added other benefits, such as access to Amazon's Instant Video platform. It's a move that seems costly, but is actually a strategic play. It's estimated that Amazon loses $1-2 billion in revenue every year, but that's easily made up for by the increase in purchases. How can you use subscriptions to achieve growth goals and increase customer retention? You don't need to charge a fee for your subscription model in order to gain customer loyalty. Providing benefits in the form of exclusive content and events is another way to leverage this approach without spending a ton. If you're going to take a page directly from Amazon's playbook, then make sure you're offering something people want. This goes back to customer development and understanding your audience's desires and challenges. 8. Use experiences to elicit positive feelings. Experiential marketing has long been used as a way for brands to create positive sentiments with their customers. Coca-Cola had a 70-day campaign around the 2012 Summer Olympics, and part of this was their "Coca-Cola Beat Generator" app. This experience brought together music, sports, and the Coca-Cola brand. They showcased it during their roadshow around the Olympics, using samples and sounds from the games themselves. Users could then take the MP3 recording with them and share it via social media. The results? 16,500 visits to the web version and 1.78 million Facebook impressions. Even though Coca-Cola produces beverages, they figured out a way to tap into the positive hype around an event by providing delightful customer experiences that reached beyond the point-of-sale. Look for ways to create positive feelings in the form of new experiences outside of your main products, services, and value propositions. 9. Capitalize on social proof. Sometimes, the greatest form of advertising isn't your own. In fact, customers are more likely to trust opinions from family, friends, and other consumers more than branded content and ads. More than 60% of customers trust online reviews, and seeing that lots of other brands and individuals like you use a product actually makes you want to do it, too -- FOMO is a powerful marketing and retention tactic. Use customer testimonials and information to attract new customers, and to convince existing customers to stick around or upgrade their products. Highlight loyal customers -- and their stories -- on your website or your social media networks to share their successes to help you grow your own. Just because your customer has made a purchase from you doesn't mean you should stop trying to close the deal. Your customers have more options available to them than ever before, and if they find a competitor of yours with a similar offering and price that seems more exciting, you could lose them. Education is one of the most valuable things you can offer your customers (or even just your site visitors). 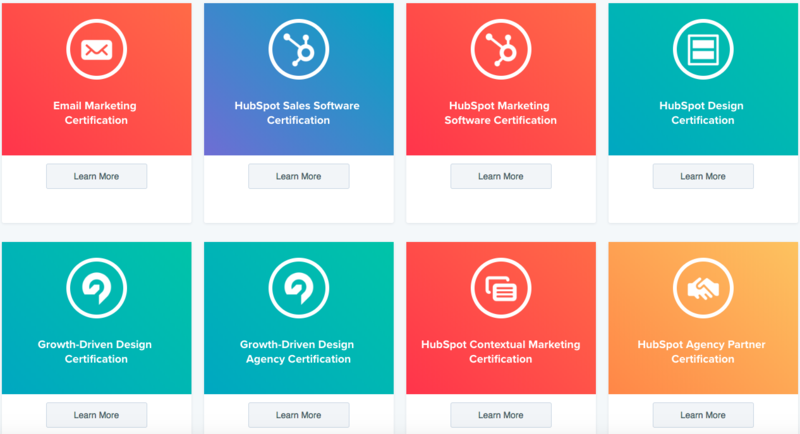 HubSpot Academy offers free marketing, sales, and customer service training videos and certifications that anyone can use to learn and grow their skills -- and some are only available to HubSpot customers and partners. 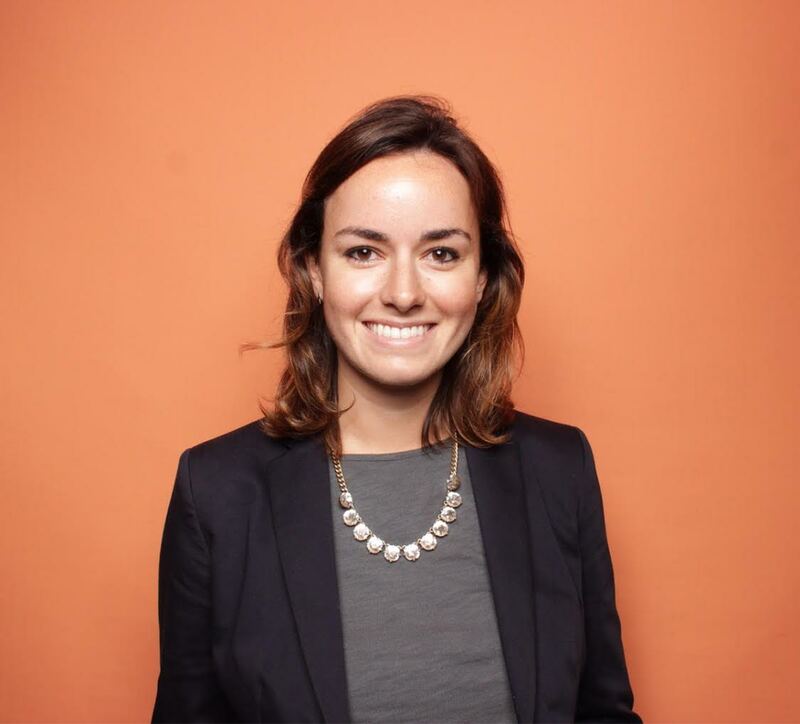 These unique, exclusive offerings help make the HubSpot community more engaged and interested in staying in the loop with our educational offerings. Pet supply ecommerce company Chewy knows its customers love their pets. It also knows they can buy pet food and supplies from a variety of companies -- including Amazon -- for similar prices. So it uses the principle of surprise reciprocity to delight its customers with spur-of-the-moment gifts and cards for their pets. These surprises don't need to be big or expensive, but they're memorable to their customers by demonstrating care for their fur-children. The example below is a painting Chewy had commissioned of a customer's pet -- other ideas could be hand-written thank you letters or free samples of new products. 12. Offer support on the right platforms. Part of knowing and understanding your customers is knowing where they spend their days using your product, and how they most want to get customer support when needed. For the most part, Slack functions perfectly as a workplace communication tool. But like all technologies, it experiences the occasional outage that impacts its users -- many of whom immediately start asking their coworkers around them and the Twittersphere if their Slack is down too (or, they make jokes that maybe they were fired and had their Slack deactivated). Luckily, Slack is there to help when things go wrong. They know their users are active on Twitter, and they keep updates frequent on Twitter in cases of outage or other customer issues. 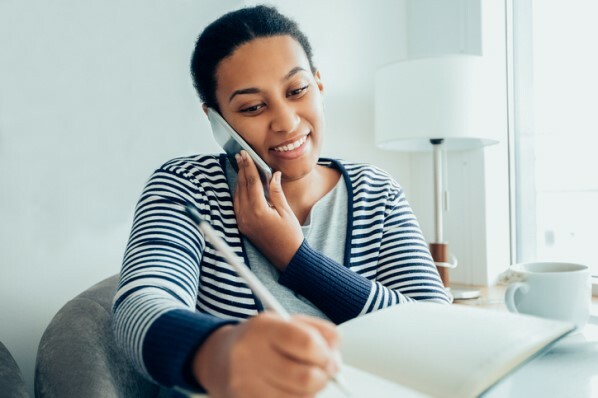 Spending time in your customers' shoes to get to know how they look for help and information when they do encounter issues will prevent them from feeling like they're in the dark -- and will make you dependable and reliable in their eyes, even when things go wrong. To the point above, taking the time to say thank you to your customers -- outside of an email campaign or a customer purchase -- goes a long way toward building a brand that's lovable and memorable. 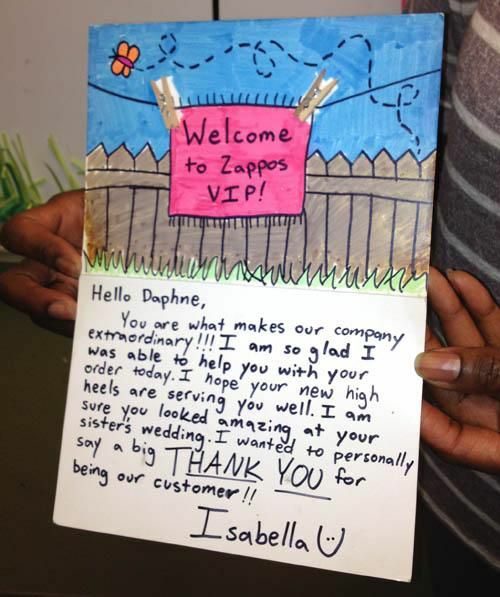 Clothing and shoe ecommerce site Zappos is well-known for its excellent customer service -- including its efforts to show customers how much they care by saying thank you and sending gifts. In fact, Zappos even has an office-wide tally of how many gifts and surprises have been sent to customers during the previous month to make sure the whole team is doing their part to show customers how much they're appreciated. Saying thank you is a simple customer retention technique, but an effective one that distinguishes faceless websites from beloved brands. 14. Apologize when you make mistakes. Try as you might to avoid them, mistakes happen in business. Whether that mistake is a data breach, an outage, a billing error, or something else, a mistake can put you at risk of losing your valued customers -- depending on how you handle it. HubSpot Research found that, in cases of company error, 96% of survey respondents would continue buying from a company they regularly purchased from if they apologized and rectified the situation. So what that means is, you need to develop a plan for the inevitability of a mistake -- and a plan for how to solve it promptly, apologize honestly, and move forward to retain your loyal customers. HubSpot had an experience with this during INBOUND 2018, when an outage we suffered impacted numerous enterprise customers of ours. We worked quickly to fix the mistake, to learn how it happened to prevent it from happening again -- and then, our COO and VP of Customer Success apologized, explained what had happened, and detailed how we would prevent it from happening again -- publicly on our blog, and privately to customers via email. To learn more about customer retention, read about the typical reasons for customer churn next.